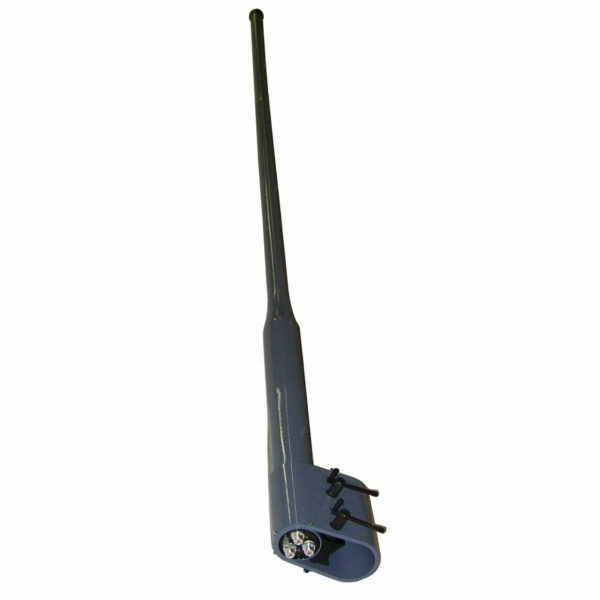 The D2219-M2G is a UHF/UHF/UHF frequency high gain MULDIPOL™ antenna specifically developed for air traffic control, ground-to-air, ground-air-ground, and NAVAL applications. All 3 input/outputs operate at 225-400 MHz. This Shipboard model features a double military mast clamp for added stability.